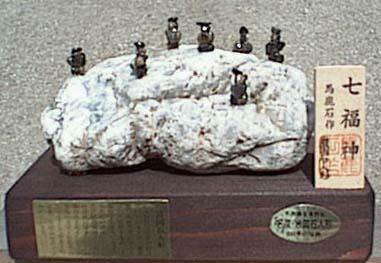 They are hand-made stone dolls, made from the nest of an insect called “ningyoo tobikera　石蚕” which is found in the very clear and clean rivers in Iwakuni. The dolls are said to be the incarnations of the souls of people who died during the construction of the Kintai bridge 錦帯橋 or were human offerings made during that time (hitobashira 人柱). The most common are the seven gods of good luck, Jizo Bosatsu and other religious figures.
. Yamaguchi Folk Art - 山口県　. One of the most famous tales of construction-related human sacrifice is associated with Matsue castle (Shimane prefecture), which was originally built in the 17th century. According to local legend, the stone wall of the central tower collapsed on multiple occasions during construction. Convinced that a human pillar would stabilize the structure, the builders decided to look for a suitable person at the local Bon festival. From the crowd, they selected a beautiful young maiden who demonstrated superb Bon dancing skills. After whisking her away from the festival and sealing her in the wall, the builders were able to complete the castle without incident. 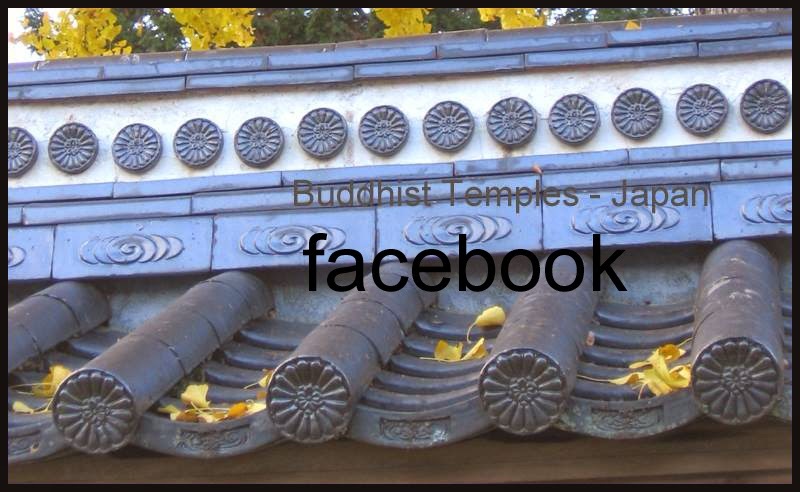 practiced formerly in Japan, is a human sacrifice, buried alive under or near large-scale buildings like dams, bridges, and castles, as a prayer to the gods so that the building is not destroyed by natural disasters such as floods or by enemy attacks. Hitobashira can also refer to workers who were buried alive under inhumane conditions. Some of the earliest written records of hitobashira can be found in the Nihon Shoki (The Chronicles of Japan). One story centered on Emperor Nintoku (323 A.D.) discusses the overflowing of the Kitakawa and Mamuta Rivers. Protection against the torrent was beyond the ability of the stricken populace. The Emperor had a divine revelation in his dream to the effect that there was a person named Kowakubi 武蔵人強頸 in the province of Musashi and a person called Manda no Muraji Koromono-ko 河内国の茨田連袗子 in the province of Kawachi. If they should be sacrificed to deities of the two rivers respectively, then the construction of embankments would be easily achieved. 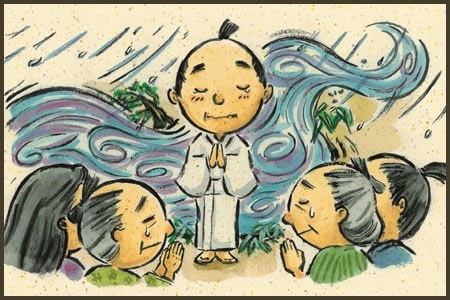 Kowakubi was subsequently thrown into the torrent of the Kitakawa river, with a prayer offered to the deity of river. Through the sacrifice it was possible to construct the embankment completely, Koromono-ko however escaped being sacrificed. The Yasutomi-ki, a diary from the 15th Century documents the famous tradition of "Nagara-no Hitobashira". According to the tradition, a woman who was carrying a boy on her back was caught while she was passing along the river Nagara, she was buried at the place where a large bridge was then to be built. Hitobashira traditions are almost always connected with complex and dangerous projects that were required to be built and mostly with water. 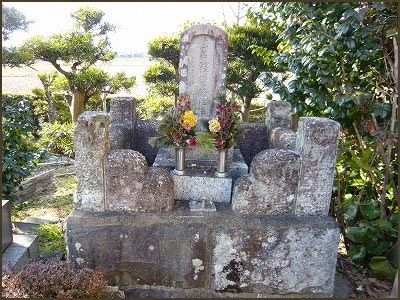 The stories of hitobashira were believed to inspire a spirit of self-sacrifice in people. Stories of hitobashira and other human sacrifices were common in Japan as late as the sixteenth century. Currently, hitobashira is no longer practiced in construction. The Matsue Ohashi Bridge according to legend used a human sacrifice in its construction.
. Ryuu-ga-ike 竜が池 "O-Ryu's pond" . The kanji for Wanouchi (輪之内) literally translates to "within in a circle." This name is derived from the fact that Wanouchi is situated between the Ibi River and the Nagara River. Historically, these two rivers ran together and the area known as Wanouchi today was one of many ring-levees in the middle of the river. Naturally, these levies were prone to frequent flooding and so the waters had to be diverted. Hence, Wanouchi's physical environment and history has been greatly shaped by the constant threat of floods. In 1754, the Edo (modern Tokyo) Shogunate, under Shogun Tokugawa Ieshige, ordered the rich and powerful Satsuma feudal lord, Shimazu Shigetoshi (whose great wealth was regarded as a threat to the Shogunate) to send his samurai and resources to the Gifu area. Their task was to build embankments in order to divert the rivers. It seems the Shogun hoped that this project would weaken the Satsuma lord's power. This becames known as the Hōreki Period River Improvement Incident. The construction of these banks was extremely dangerous and difficult. It is said that a human sacrifice was made in the Wanouchi area during the construction when a local retainer (Masuya Ihei) voluntarily gave his life by remaining under the rushing waters in order to keep a foundation pillar from moving until it could be secured from above. As well as aiding in the construction, this sacrifice was also treated as an offering to the gods ensuring the successful completing of the project. In Japanese, this sacrifice is referred to as hitobashira (人柱) meaning "human pillar." Despite the many difficulties, the initial construction was completed in 1755. More than 80 lives were lost. The graves of 8 of these men are located around Wanouchi, serving as a constant reminder of the great sacrifices made so that people could live in a safer environment.
. Ogaki castle 大垣市 and a Rokubu legend . In 1585, when 秀吉 Toyotomi Hideyoshi built Ogaki castle, he used an itinerant Rokubu pilgrim as a human pillar, buried alive. It happened during the time of the warring states 戦国時代. The river Haranoyagawa 原野谷川 flows in the west of Asaba village. At that time there were no bridges across and at the river flowed quite wild, meandering like a serpent and often caused flooding during strong rain periods. So the farmers could not tend to their rice paddies close to the river in peace. The Lord of the region had a dike built along the riverbank but it only reached about half of the village, where the river turned a huge curve. Every time during a strong rain the dike broke, the flood waters taking with them more earth, hollowing the ground more and more. So this area was called "Under the kettle" 釜下 Kamashita, and all were afraid of it. 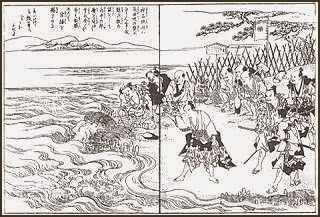 The waters, after having destroyed the dike, flowed on to the next villages, 米丸村 Yonemarumura and 一色村 Ishikimura and destroyed their fields as well. The elders of the villages came together and tried to find a solution. They came up with the idea to offer a human sacrifice to the Deity of Water 水神 and pray for his support. But who should it be? Whom should they choose? Then an arrow with white feathers landed on the roof of a tenant farmer. The village headman invited the young man to his home, gave him a lot of delicious food to eat and all the sake he could drink. Then he asked the young man to become the human sacrifice and well, the young man accepted for the sake of all. Once again they began to build a strong embankment, using thick pillars and more earth than before. It was really a fine embankment! And indeed, it was never destroyed by flooding again. All the villagers felt very gratefull toward the young man. Much later, in the Edo period, they succeeded to dig a confluence for the rivers Haranoyagawa and 太田川 Otagawa and the flow of the river changed again. Slowly they began to forget all about the young man. Only in the home of the village headman, the story of the arrow and the young man was kept alive, told again and again and all kept the feeling of greatfulnes for his sacrifice to our day. A generic name for kami of rivers and streams. The lineage of this kami is not described in the classics. 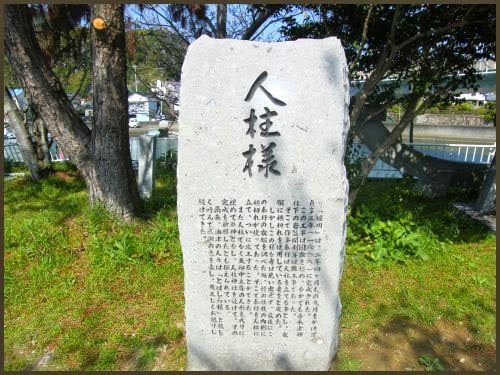 Nihongi's record of Emperor Nintoku's reign contains an anecdote regarding the offering of human sacrifices (hitobashira) to the river deity called "Lord of the River" (Jp. kahaku; Ch. 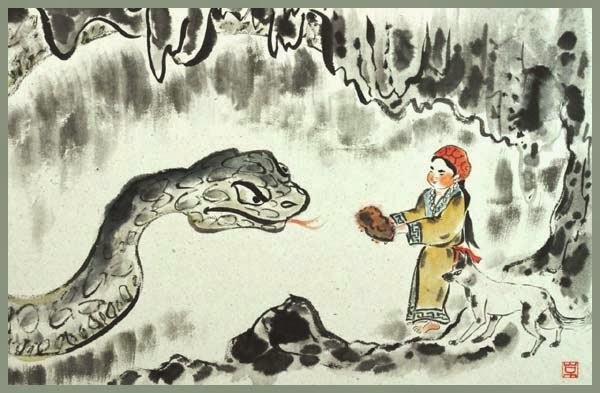 Hebo) at the occasion of constructing a riverbank, and Nihongi's record of Empress Kōgyoku likewise notes that during a great drought, prayers were offered without effect to the "Lord of the River." The Man'yōshū includes poems indicating that the river kami serves the emperor, and numerous records from the Nara period reflect the offering of prayers to the kami of famous mountains and great rivers. 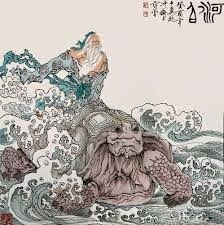 kahaku, kawa no kami, kawako 河伯 River Deity, "river chief"
. 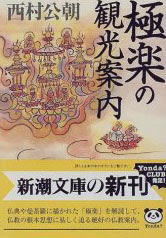 Manga Nihon Mukashibanashi　まんが日本昔ばなし Folktales . The legend of the spiritual dog Hayataro.
. . . the village of Mitsuke in Omi had a problem. The fields were destroyed by wild animals and as a precaution, the villagers had to offer a girl from the village to the deity of Shrine Yanahime Jinja 矢奈比売神社.
. 六部 Rokubu pilgrim as human sacrifice . Along the Tonegawa there lives a Kahaku called Nekoko. At that part of the river is a huge swirl. On the river shore there is a large yanagi 柳 willow tree, which has grown from the roots of a tree taken down be flooding.
. kahaku, kawa no kami, kawako 河伯 River Deity, "river chief" Kappa .